The film is a dramatic depiction of the political and romantic relationship between Queen Elizabeth I (Davis) Robert Devereux, the Earl of Essex (Flynn). While Queen Elizabeth I is in love with Essex, her duty to her country comes first. We have another installment of music videos that feature either classic movie stars, movies or reference classic movies. I’m not sure how during I forgot about “Thriller” relating to classic film. This one is so obvious and I forgot about it until my sister and I were listening to Michael Jackson’s greatest hits in the car. 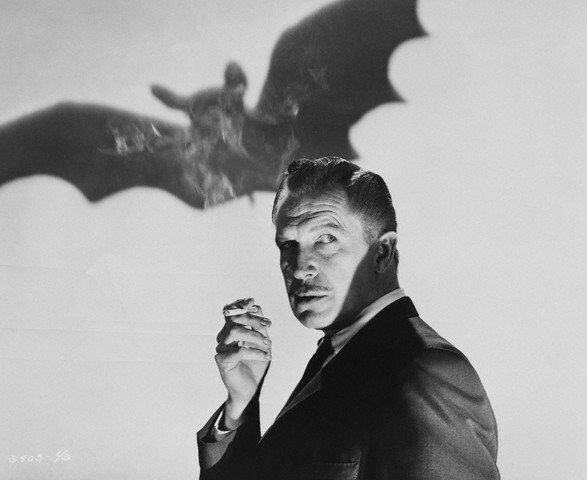 Vincent Price, known for his horror roles in the 1960s, talks in the middle of the song around 6:30 in the video. You can see Vincent Price’s name on the movie marque and movie posters of his films around the movie theater at the beginning of the video. Price started in Hollywood in the late 1930s and can be seen in “Elizabeth and Essex” (1939) and “Song of Bernadette” (1943). Audiences started to notice him more in film noir movies like “Laura” (1944) and “His Kind of Woman” (1951) as the suspicious man who started out likable but ends up being bad. But Price made his mark when he starred in “The House of Wax” (1953) and “House on Haunted Hill” (1959). Price found his niche in horror movies and continued to capitalize off of creepy characters until his last on screen film appearance in “Edward Scissor Hand” (1991).